Hector Lombard is going to be out of action for a while. The UFC middleweight was knocked out by Dan Henderson at UFC 199 on Saturday in Los Angeles. The KO was severe enough that California State Athletic Commission (CSAC) doctors suspended Lombard medically for six months without exception, according to a document released to MMA Fighting on Monday via an open records request. Typically, suspensions come with a caveat. A doctor can clear a fighter before the suspension is up. But not in the case. 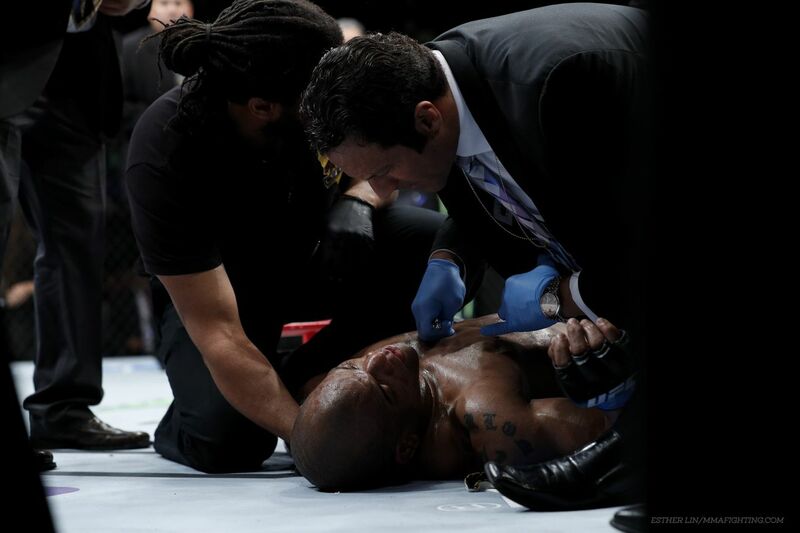 Lombard was rushed to the UCLA hospital after the bout. “No exception for prolong recovery from KO,” the document read. Henderson knocked out Lombard in the second round with a head kick followed by a back elbow. Lombard had Henderson in huge trouble in the first round, nearly finishing the MMA legend. Five other fighters received six-month suspensions by CSAC, though those fighters can be cleared by doctors beforehand: Sean Strickland (possible broken hands), Jonathan Wilson (unable to stand), Kevin Casey (blood sugar), Dong Hyun Kim (possible broken nose) and Polo Reyes (possible fractures of both hands, elbow). UFC 199 took place June 4 at The Forum in Inglewood, Calif. Michael Bisping beat Luke Rockhold to win the UFC middleweight title in night’s main event. A complete list of UFC 199’s medical suspensions can be seen below. The fighters not mentioned all received a seven-day mandatory rest period. Luke Rockhold: 45-day suspension, 30 without contact after being knocked out (no exception). Ricardo Lamas: 60-day suspension or cleared by physician due to laceration of left tibial. 45-day suspension, 40 without contact for hard bout (no exception). Hector Lombard: 180-day suspension for prolong recovery from knockout (no exception). 45-day suspension, 30 without contact after being knocked out (no exception).